It’s been a busy and successful few weeks for the Oakfield sports stars. 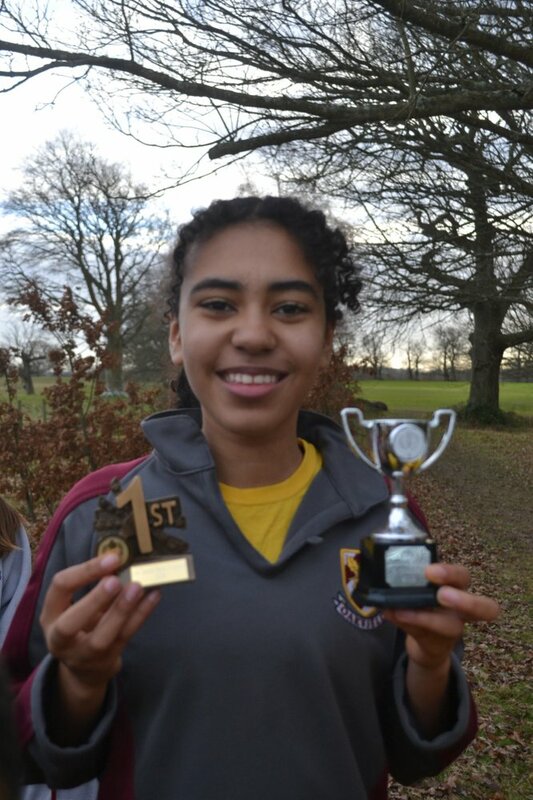 The cross-country team returned to school triumphant after competing at the ISA London South Regional Cross Country competition, winning three out of four team trophies. Congratulations to the Oakfield U11 Boys, U11 Girls and U9 Girls teams! A special mention to Lois and Daniel who both won gold medals in their respective U11 races. ISA Schools' National Swimming Finals: Congratulations to Rami who swam to victory in the U11 50m backstroke receiving a Gold medal as National champion, he also won a silver medal in the U11 50m front crawl race! Mr Patrick Gush has been appointed Principal of Oakfield Preparatory School, effective September 2017. 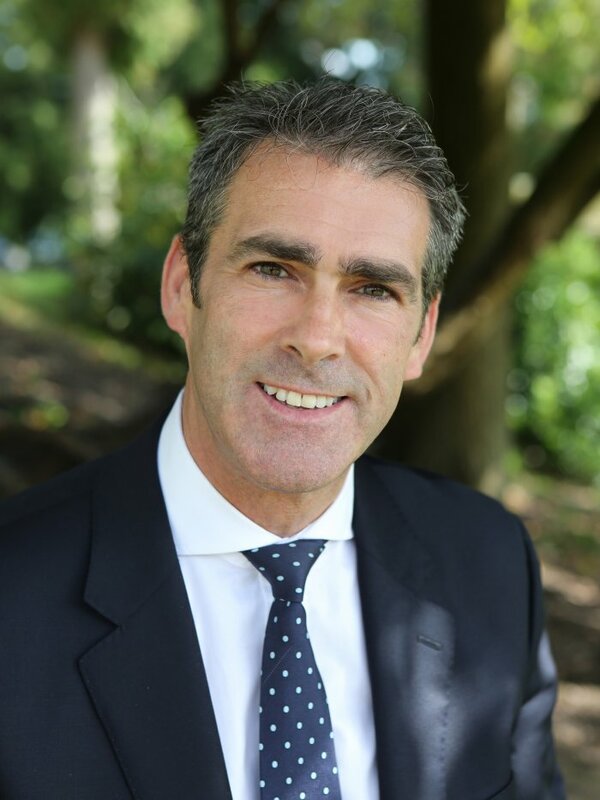 Patrick has had a long and distinguished career in independent Prep School education, and is currently Head of Beechwood Sacred Heart School in Tunbridge Wells. Prior to that, he was Deputy Head Master at Bickley Park Prep School in Bromley. Patrick joins the school at an exciting time in its history, under Jane Stevens, the school has gone from strength to strength, including its recent inclusion in the Good Schools’ Guide. Oakfield is very much looking forward to Patrick joining the team. 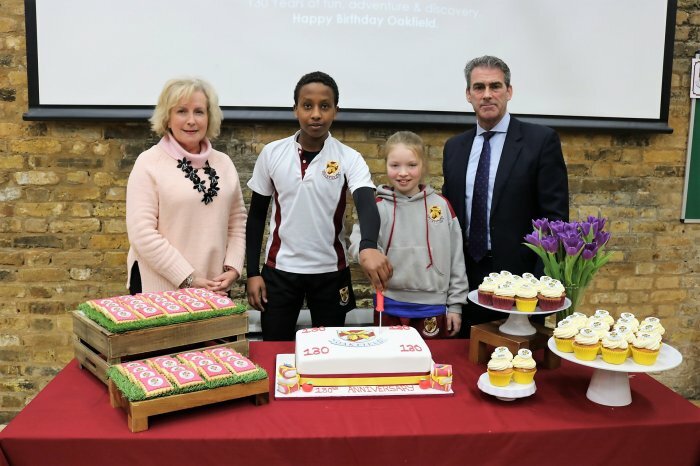 For 130 years, Oakfield Preparatory School has served a broad community and had a significant influence on the educational landscape of Dulwich and South East London. In a whole school celebration assembly this week, I shared pictures, anecdotes and historical reflections on the school’s illustrious past with the children and staff from Reception to Year 6. It was a fascinating journey and a real pleasure to see the engagement and interest of the young audience. Thurlow Grange, known in 1888 as ‘The House of Thurlow Park Road’,was established as a school for Young Ladiesand was situated on the corner of Croxted Road and Thurlow Park Road in the property where our main Reception now resides and where Years 2 & 3 are based. Thurlow Grange had the most impressive pillars topped with eagles and large, impressive gates on the corner of the property: a majestic statement facing the junction and railway station beyond. The spacious grounds to the rear also contained numerous outhouses and well maintained land, overlooking the trees and fields behind. In the presentation we saw monochrome pictures of the bygone era: the lessons, the netball games and the grounds, all gathered from the archive or donated by generous alumni. It was wonderful to see and hear the pupils engaged in the history and the images. Mrs Thompson our Head of Pre-Prep then read some ideas from the children on how the school will look and what we will all be doing 130 years from now. Some magical ideas from our youngest pupils, who should clearly be leading our country and our tech industry already. Our Head Boy and Head Girl cut the magnificent Anniversary Cake and we all sang Happy birthday to our amazing school. 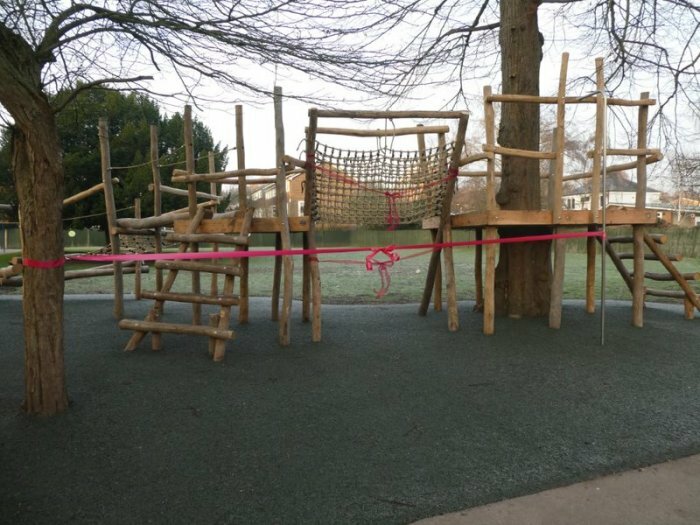 To mark this special milestone Oakfield has a new minibus, kindly donated by our Parents Association and a fabulous new climbing area and play space. We have a few more events planned for the rest of this special year. In researching Oakfield’s history, it is clear that we have come a long way since we first existed ‘for the education of the daughters of local Gentlemen’.Throughout the changes, developments, dramas and eventual restructuring, what has emerged is the mission and drive to educate children from all walks of life. This ethos is what motivates us today and gives Oakfield the unique ability to combine tradition, clear values and a progressive vision towards excellence in all that we do: strength from diversity is our ethos and what makes Oakfield a special place for us all. Happy 130thAnniversary, Oakfield. It is an absolute joy to lead the Oakfield team as the new Headmaster and I have been made to feel so welcome that September 1st feels light-years behind me. I am in the discovery-days currently: understanding the culture and getting to know everyone connected with the school: it is a process that is essential, exciting and rewarding in equal measure. With the polish barely dry on my shoes, I therefore felt a little uneasy attending the IAPS conference - so early in the new term. However, the timing and experiences could not have been better – gaining insights from leaders of education, industry, finance and Psychology. The Conference theme: Leading Inspirational and Aspirational Schools, is a theme that resonates sharply with our focus and ambition at Oakfield. The pupils and the teachers inspire me daily with their commitment and their effort and I have no doubt of the community’s aspirational credentials. We want every child and every member of staff to be the best that they can be. It is clear that Oakfield’s vision is sound as we look to a future where potential careers for our pupils have not yet been invented or thought of. As I reflect on the essential skills for people working in the machine age, as technology marches on, it’s exciting to realise that Oakfield is already ahead of the curve as the attitudes, skills and qualities that we value and develop in school will be the ones in greatest demand. Critical thinking, empathy, care and the resilience to go the extra mile in the pursuit of challenge will carry our Oakfield children a long way and prepare them for what the future holds in store. Mark Rhodes (Rhodes2Success) reinforced the need to focus on life with a positive mind-set and to channel that energy in order to manifest the desired outcomes. His simple, effective and inspiring message reinforced my belief and Oakfield’s direction in the power of a growth mind-set, school-wide philosophy. It is great to see that we are on track, building a fabulous school and heading in the same direction together. On the 19th of October Oakfield Preparatory School hosted the energetic and memorable Sir Linkalot (aka Andy Salmon from 'Think a link'). Each class from years 1 to 6 had a session where they learnt fun and creative ways to remember a vast range of words, events and ideas. From the capital of Pakistan to the spelling of tricky words, Sir Linkalot has a trick for everything. Many laughed and others gasped as they discovered that they could achieve things that they has previously struggled with. Andy is an extremely passionate and enthusiastic man who does not let a moment go by without referring to one of his clever methods for remembering. He will be returning to Oakfield to work with teachers and parents on the 6th of October. 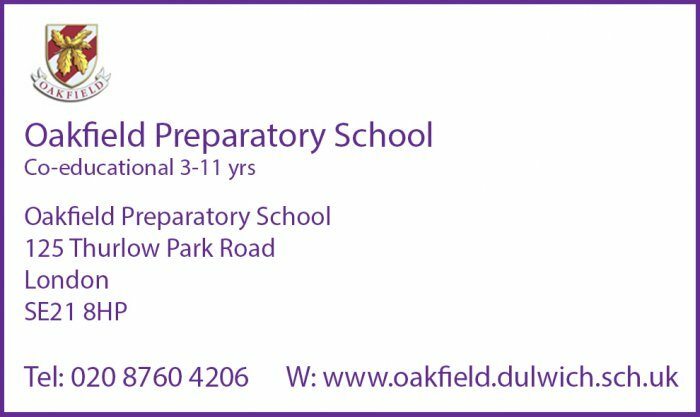 The Year 6 Diploma at Oakfield Prep, Dulwich, provides the opportunity for everyone to excel. It motivates and maintains much more than just focus through the Summer Term. 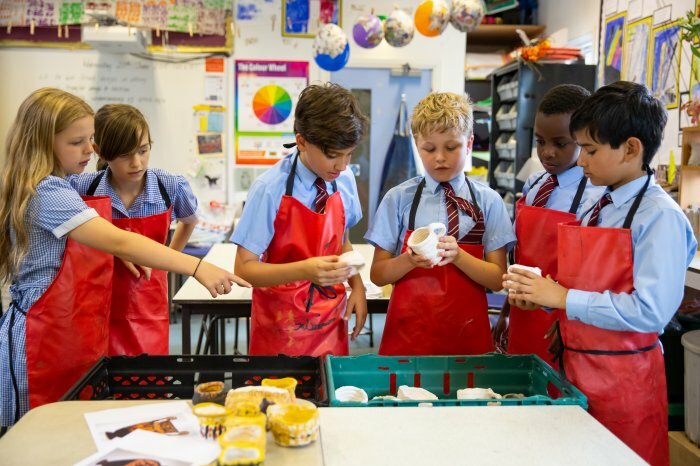 A programme of workshops and projects involves design, Creative Arts, reading groups with junior pupils, community visits to care homes and charities and leadership skills in sport, music, art and drama. Entrepreneurs, investment bankers and local businesses run seminars in school and visiting speakers, including Helen Hayes our MP and Jazz Crawford (Oakfield Alumna and Team GB athlete) inspire the children on their journey. Their practical-design project for the Summer Fair involves marketing, strategic-thinking and social responsibility. Brainstorming enhances critical thinking and problem-solving develops their resilience. Presentation skills build confidence and the bonding during performance workshops is magical. We aim to prepare for the academic and personal learning beyond Year 6 into their senior schools but it brings immediate and lasting rewards in their final term at Oakfield. Amani recently competed in the Welsh round of the National Fencing (Leon Paul) Junior Series. Despite the long journey and gruelling rounds, he won the competition with an amazing 10-1 victory in the final! We are all very proud of his attitude, commitment and endeavour.